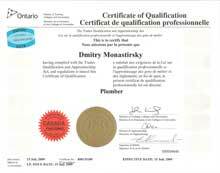 One step in basement renovations Toronto homeowners often overlook is plumbing inspection. When you’re considering remodeling a basement you will need some sound basement renovations advice. No matter what you’re using that space for there’s some important groundwork and planning to do before you start. Perhaps the most important part of the equation are those things you cannot see like electrical lines and plumbing. Consider: if the plumbing system, particularly any sump pump or drainage, isn't healthy, you could spend thousands of dollars on renovation only to get flooded out by water or sewage. basement renovations add stress to the pipes that were barely hanging on, and pipes start to leak. The good news is that you can call our plumbers in Toronto to do drain television inspection for the price below $100. When we run our Monthly Specials ( Check out our home page), you may even be able to get the whole home plumbing inspection for free! That’s not a lot to pay when you’re talking about creating a long-term waterproof space for personal or tenant use. When you’re looking at plumbing also check the foundation walls for any cracks. These can worsen over time and let in a lot of unwanted moisture. If you can repair the cracks with cement, terrific. You can also add a coat of waterproofing paint. Nonetheless, that may not completely resolve the problem of water or dampness. The problem may be more serious and its root cause not so obvious. In such cases, consider calling out plumber for a free evaluation and estimate. We have posted a detailed article that explains waterproofing basement walls in details. Look for gutter leaks or drains that aren’t pointed away from your foundation. Of course, poor basement plumbing fixtures can contribute to this situation too. Have your Toronto plumber check for broken drain tiles particularly near a sump pump. Another good way to protect your basement from dampness is putting in an interior wall with heavy duty plastic and some air space between it and the outer wall. Here you can add insulation to keep warmth in where the plastic protects from moisture. Alternatively a good dehumidifier can be a simple solution for smaller spaces in the cellar. Basement Finishing: Remodeling or Adding Bathrooms? If you intend to put a shower or toilet into the basement this endeavor requires new plumbing. Typically plumbing goes under the floor of the basement. This could represent quite an expense. Consult with a licensed plumber in Toronto to ask about alternative water routing that might help keep your budget in line. This is also a good time to consult about basement renovation advice dealing with any local zoning rules that will have to be integrated into your project. Once your plumbing is in place, take the time to have it insulated. This does two things. First, it protects your pipes from freeze damage. Secondly it decreases the overall cost of heating water for household use. Basement renovations in Toronto can be costly and you may be tempted to save on plumbing inspection. Resist this temptation and require that your contractor schedules a plumber to look at your sewer and drain pipes, or call us at A to Z Plumbing and Drain, and we will be delighted to serve you.